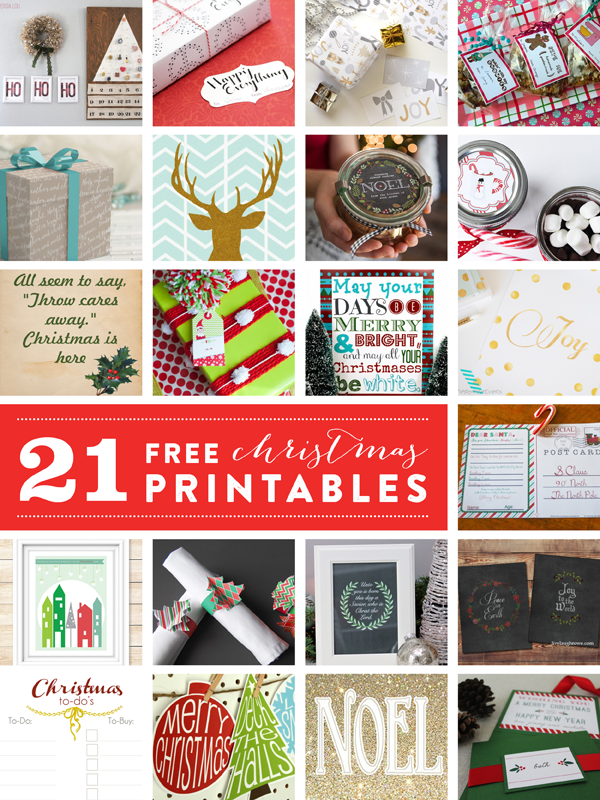 With Christmas just over two weeks away, it’s definitely time for a few fabulous free printables to brighten up the festive season. We already shared our printable Christmas napkin rings with you in November and we’re so excited to share that we also teamed up with 20 other talented bloggers to bring you an awesome collection of printables for the holiday season. Amazing, right?! Whether you are looking for home decor, gift tags, wrapping paper, cards, or labels, we have you covered— and the best part is, they are all free for personal use. Leave some love in the comments section to let us know how you are using these printables to make your Christmas extra special this year! Here’s the link to the post about how we made the napkin rings: https://www.littlehouseonthecorner.com/diy-christmas-napkin-rings/.